Persons that have taken Actos for over 12 months have a 40% increase in bladder cancer. No fees unless your case is won. Free consultations anytime. 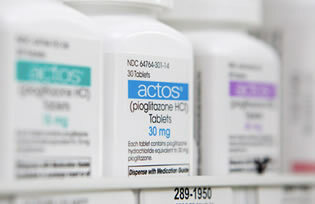 Actos (Pioglitazone HCL) is a drug that many people took in hopes that it would help with their diabetes disease. 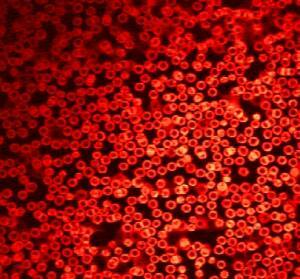 However, for some people, taking Actos resulted in a devastating diagnosis of bladder cancer. 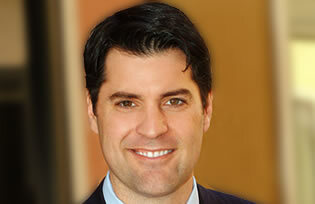 Houston personal injury lawyer Brian White is familiar with the medical problems caused to trusting consumers by Actos. He has worked with many clients that were harmed because the maker of Actos, Takeda Pharmaceuticals, was negligent in warning consumers about problems they knew were linked to Actos after taking the drug for as little as 12 months. Attorney White takes every client’s case very seriously, and he understands the personal ramifications of being harmed due to negligence. The impact of product failures or defects can be catastrophic, even resulting in death. Survivors and those harmed by products that deliver less than they promise or that cause bodily injury are entitled to seek monetary compensation for their expenses, injuries and losses. The firm of Brian White has been committed to winning monetary damage compensation for clients for over a decade in Houston, TX. They work closely with clients, offering a free consultation and not charging a fee unless the personal injury case is won. They are compassionate, understanding, and will work hard to win fairness for injured clients. Actos is a drug that may control blood sugar (glucose) levels in many patients suffering from diabetes. It may work better than some other drugs, but the manufacturer knew but did not publicize possible links between Actos and the development of bladder cancer. Actos side effects and bladder cancer often leave a patient with a huge amount of medical expenses and unpaid bills, loss of income or employment or in the case of death; survivors suffer financial hardship in addition to loss of their loved one. Attorney Brian White works diligently to provide solutions quickly to clients, often within just one year. An aggressive stance and experience leads to solutions for those who have experienced physical harm from taking Actos for their diabetes condition. If you or a family member took Actos with negative results, call the law offices of Brian White immediately. Consult with an attorney that will stand up for your rights and not let precious time slip away. Call 713-224-4878 to get started on your recovery from what should have been a preventable disaster. 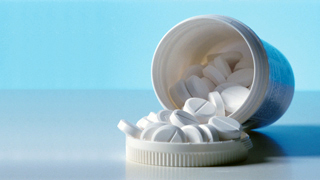 Actos, like many other drugs, may have side effects that are less than desirable. Houston lawyer Brian White is a personal injury trial lawyer that has worked nationwide with clients seeking compensation for their personal injuries due to Actos and other drugs. Side effects can cause even greater harm than the disease for which the drugs were first prescribed. A worst case side effect due to taking Actos is bladder cancer, a life-threatening disease that may cause long-term pain and suffering or death. What Side Effects are Possible from Actos? 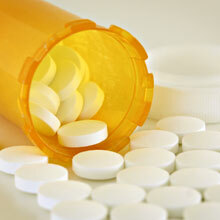 Actos (Pioglitazone HCL) has been prescribed by doctors to help treat adult type 2 diabetes. It works for some people that have had difficulty getting other drugs to control their blood glucose levels. It may, however, interact with other drugs and Actos has known side effects. It may also be mixed with other ingredients including metaformin and glimepiride. The types of side effects from Actos use include problems that especially affect diabetics, such as weight gain, fluid retention and edema. Some experience symptoms that are like having a cold, with sore throat, headache, pain in the muscles and involvement of the sinuses. Lower gastrointestinal problems may be related to Actos use also, such as nausea and diarrhea. The user may develop a urinary tract infection or limb pain. Nursing mothers should most likely not take Actos because the effect of this drug on their infants is not known. Pregnant women should not take Actos. What is the Connection between Actos and Bladder Cancer? Takeda Pharmaceuticals, the manufacturer of Actos, tested the effect of Actos on rats prior to FDA approval of the drug for sale to the public. These tests indicated that the animals developed bladder cancer, but the company neglected to make those results public. The drug sold well and was a major money-maker, so it is alleged this may be one reason why the company did not want this fact publicized. 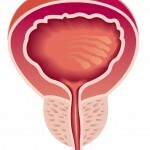 Bladder cancer did develop in many users following just one year of use. Some of those persons have already sued Takeda Pharmaceuticals for physical injury due to Actos. What Should Victims of Actos Do First? If you feel you have been harmed by taking the drug Actos or another drug that contains Actos, it is time to contact an experienced personal injury law firm. In Houston, TX, Brian White & Associates have served many clients that have been harmed by drugs, including Actos victims. They work with clients nationwide that seek recovery for their medical expenses, loss of income, after-care and other claims. Survivors of persons that have died as a result of their use of the drug Actos are also able to seek compensation for losses from the death of their loved one. For prompt attention, caring personal service and a tough trial lawyer team on your side, contact the law firm of Brian White & Associates today if Actos side effects have caused you physical harm. You have the right to fair compensation, but claims must be made within your state’s statutes of limitation time frame. Do not delay; a personal injury consultation with Brian White & Associates is free. Use the contact form provided, or call the toll-free number right away. Feel free to fill out the form below for further information about Actos. If you would like to speak to Actos cancer lawyer Brian White today, please call us at (866) 660-1456 at your convenience. The call is free and if we handle your case, you pay nothing until we recover money on your behalf. Actos bladder cancer lawyers serving all over the U.S., including Houston, Austin, Dallas, Forth Worth, Columbus, San Antonio, Chicago, Philadelphia, Phoenix, New York, NY, Los Angeles, Indianapolis and all cities. We are Actos bladder cancer attorneys serving injury victims nationwide. We are dedicated to keeping Takeda Pharmaceuticals accountable for the pain and suffering they have caused users of Actos who have developed bladder cancer or other side effects. We are here to help Actos victims nationwide. We serve Alabama, Alaska, Arizona, Arkansas, California, Colorado, Connecticut, Delaware, Florida, Georgia, Hawaii, Idaho, Illinois, Indiana Iowa, Kansas, Kentucky, Louisiana, Maine, Maryland, Massachusetts, Michigan, Minnesota, Mississippi, Missouri, Montana, Nebraska Nevada, New Hampshire, New Jersey, New Mexico, New York, North Carolina, North Dakota, Ohio, Oklahoma, Oregon, Pennsylvania, Rhode Island, South Carolina South Dakota, Tennessee, Texas, Utah, Vermont, Virginia, Washington, West Virginia, Wisconsin, and Wyoming.